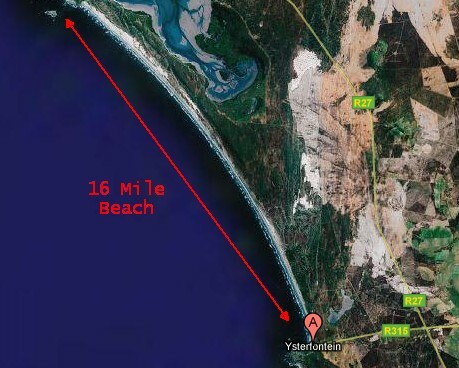 The famous 16 Mile Beach is one of the most surreal scenes in Yzerfontein. 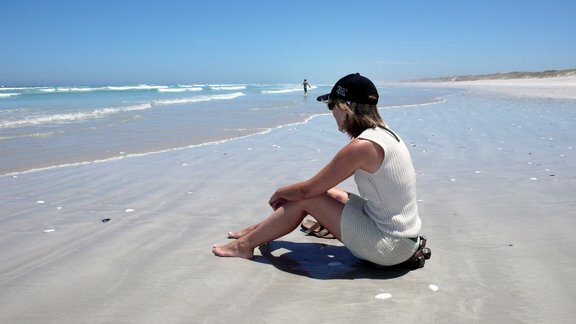 Stretching from just north of the main beach at Yzerfontein up to the West Coast National Park close to Langebaan, this is the longest uninterrupted sandy beach on the coastline of South Africa. This is the ideal place if you want a quiet walk or run. At times there are horse-riding organizations that do trips on this beach and if you are really lucky, you might even see the occasional ostrich. With High Tide and 60KG backpack it was heavy going. But I want to it again. This time we will do it more sedately and at Low Tide. . My wife and I walked along the beach for about 5Km’s the other day Its very beautiful. We are very fortunate to have this unspoilt wilderness. My husband took me there last year. Spent all day walking along the beach and sitting on the rocks. The most peaceful day of my life. Talked to the birds, crabs and rocks. It it the place I found my soul.